This COOL surf simulator is great for both children (aged 10+) and adults at any celebration!!! Popular for birthday parties, weddings, Hawaiian or surf themed parties and event hire. Or just a get together with a bit of fun!! Why not add our UNDER THE SEA assault course or castle for the perfect THEMED PARTY?!?? PRICES START AT £250 for 2 hours hire and this includes delivery set up and collection with a member of staff to operate the ride throughout your hire. £50 per hour thereafter. 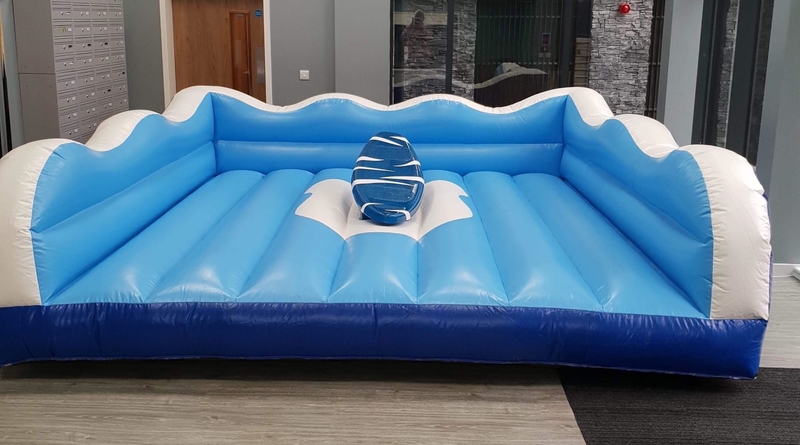 We set up the surfboard prior to the start of your hire period and then operate it to make sure your guests have the safest and best possible time.